Home» About The Area » La Lancha surf is Officially Open! According to a statement posted on La Lancha Nayarit’s Official Community Facebook Page on Sept. 1st, public access to La Lancha beach is now back open! After much controversy due to an eighth attempt to close the public’s access to the beach, numerous community members stepped up and created peaceful protests and resistance, which resulted in stopping the attempted closures. 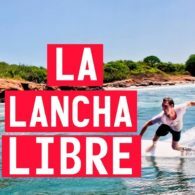 Thanks to the quick action and work of our local community, La Lancha will remain open and is free for all the surrounding community to go and enjoy the waves!